Russian markets are expected to lose about 2 percent in early trading on Thursday on the heels of weak data from China, as well as the US Federal Reserve’s decision to start drawing down its aggressive stimulus program. After Fed Chair Ben Bernanke said that the central bank is seeing fewer risks to the US economy and labor market, traders rushed to preserve their earnings with sell-offs. Russian floors closed in the red on Wednesday: The MICEX slipped 0.87 percent to 1323.57 and the RTS lost 1.7 percent to close at 1291.72. Traders mostly focused on minimizing their losses, even ignoring the upward movement in oil prices. The ruble weakened on Wednesday after Russian Finance Minister Anton Siluanov said that the government is considering a soft devaluation of the Russian currency in order to boost economic growth. 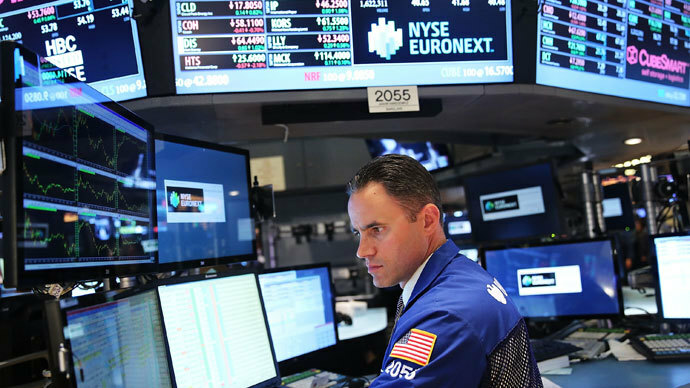 European indices posted losses Wednesday, with traders remaining cautious ahead of the Fed’s key testimony on US monetary policy: The UK's FTSE 100 slid 0.44 percent to 6,345.94, the German DAX 30 slipped 0.15 percent to 8,217.52 and the French CAC 40 declined 0.32 percent to 3,848.34. 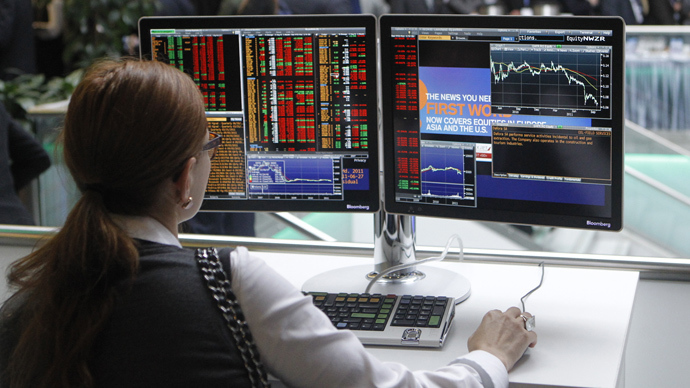 A batch of important macroeconomic updates is expected from Europe on Thursday, according to Investing.com. Switzerland will publish its annual financial stability report gauging the state of the country’s banking sector, while the Swiss National Bank will announce its Libor rate and hold a media conference on monetary policy. The eurozone will release preliminary data on manufacturing and service-sector activity, with France and Germany also expected to publish individual reports. Germany will release an update on producer price inflation. The UK will publish official data on retail sales, as well as private-sector data on expected industrial orders. 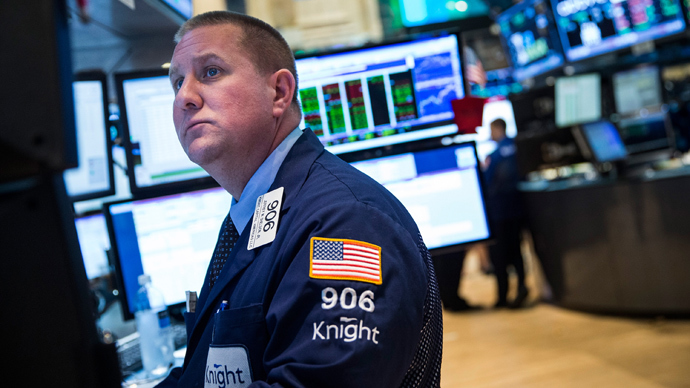 US indices tumbled Wednesday following the fed’s Fed’s decision: The Dow Jones fell 1.4 percent to 15,112.19, the S&P 500 dropped 1.4 percent to 1,628.93 and the Nasdaq fell 1.1 percent to 3,443.20. Later on Thursday, the US will present its weekly government report on initial jobless claims, as well as data on existing home sales and the Philly Fed’s manufacturing index. Asian stocks fell in Thursday trading, signaling their dependence on the Fed's easy money policies: Tokyo's Nikkei 225 slid 2 percent to 12,985.65, while indices in South Korea, Indonesia, Singapore, Thailand, the Philippines and Australia shed more than 2 percent each. China released a disappointing preliminary reading of the HSBC manufacturing index, showing a slowdown in manufacturing in the world’s second-biggest economy in June, with the indicator falling to a nine-month low of 48.3. 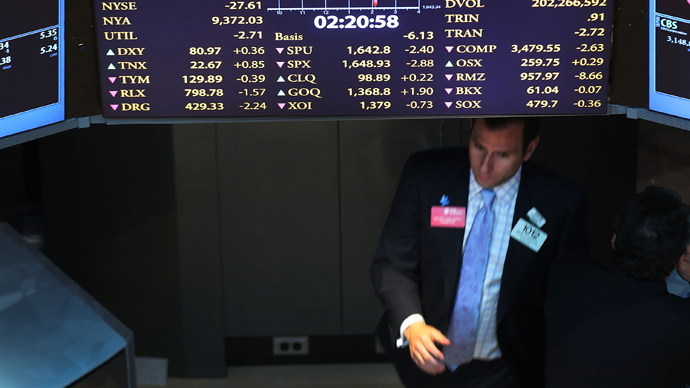 Hong Kong's Hang Seng fell 2.7 percent to 20,429.52 on the news, and stocks in Mainland China also fell. Oil is currently trading lower: Brent has fallen almost 1.5 percent to $104.50 and WTI is down 1.76 percent to $96.70.